On the right below there is a signature: “M. Aladzhalov”, – a modern colorful layer. By the nature of the inscription is similar to the autographs of the artist. Based on the stylistic and technological research, the attribution of the expert’s work by artist M. Aladjalov does not cause doubts. 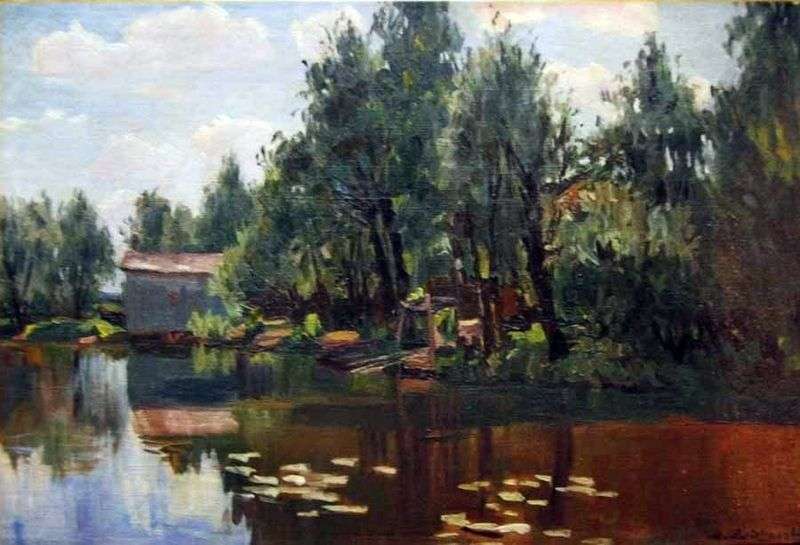 The author’s style corresponds to: the nature of the composition, the color range, the picturesque methods of constructing the paint layer, and the form of the individual smear. The X-ray examination revealed both the individual form of the painting smear and the general black and white picture typical of M. Kh. Aladzhalov’s reference works. Description and meaning of the painting Pond by Manuil Aladzalo.